Choose your hardware configuration Before choosing a laptop, it is important to look at the computer components contained in the computer. 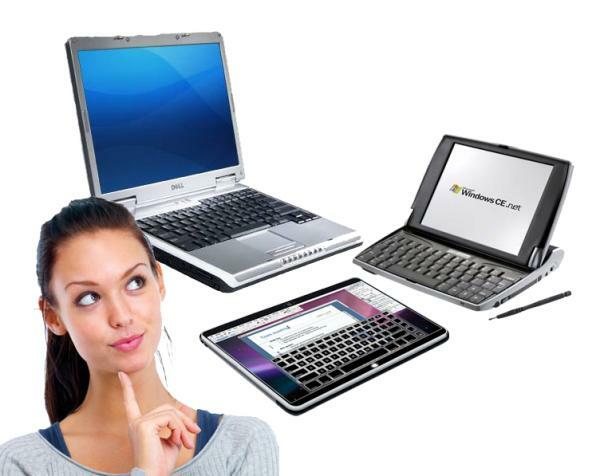 Before choosing a laptop, it is important to look at the computer components contained in the computer. The processor is the component that executes the instructions. This is the heart of the machine. There are two manufacturers on the market: Intel and AMD . i3, i5 and i7, appreciated by demanding users looking for performance, but wanting to keep the factor "energy saving". AMD side, you will find mainly powerful APU series A (A4, A6, A8 ...) dual or four cores dedicated to high-performance configurations and low energy consumption. The hard drive is the component that can store all your digital data. The higher this capacity, the more information you can store. For basic use, with little data to store, a 350 GB hard drive is enough. A higher capacity (1 TB or more) is very useful in case of massive storage of heavy data such as videos, music, video games ... Useful for multimedia and gamer laptops! It determines the speed of access to the data. Note that a high RAM (from 8 GB) is recommended for gamers. For office or multimedia use, a lower memory may be enough (from 2 GB to 6 GB depending on the needs). Also called "graphics processor", it determines the display quality. It is a component that has a great importance for moviegoers and video game players because it allows for exceptional rendering. All gamer laptops are equipped with a dedicated graphics card. If you are an office user, do not worry about having a graphics card. Nowadays, all embedded native graphics processors are enough for everyday tasks and even to watch your movies. Connectors are increasingly in the spotlight on laptops. Nowadays all laptops are equipped with USB ports. However, prefer the standard USB 3.0 (more and more common) if you want to enjoy transfer rates up to 10 times faster than USB 2.0 and this, regardless of your hardware. Regarding video outputs, direct your choice to laptops with DVI and / or HDMI connections if you want to project the screen of your computer to a high definition TV lounge (LCD, LED, Plasma ...). You will enjoy your games and your media on a bigger screen. Do not forget the specificities of the wireless network: the 802.11 n standard offers a very good transfer rate for your web browsing. What a remarkable technological advance! A power considerably increased and a weight largely diminished. As for the design ... the image by itself. I need a DESKTOP laptop to perform simple tasks ( Internet browsing, use of office software, consult my photo library, listen to music ... ). I need a MULTIMEDIA laptop to perform more complex tasks with software requiring more refined performance ( multimedia activities, photo editing, video editing, sound editing ... ). I need a GAMER laptop to play, with excellent performance to run the games in top quality. I need a HYBRID laptop that offers the best possible ergonomics for a more flexible and easily transportable use .